Artisanal Mezcal follows a delicate underground baking process that has existed for hundreds of years, but it is only now that it’s experiencing a Renaissance in craft cocktail bars and homes around the country. Made from agave, but so much more than tequila, Mezcal’s smoky flavor and smooth finish—as well as its artisanal, farm-to-table background—has made it the new “spirit du jour.” This book contains 50 cocktail recipes you can make at home with delicious, versatile out-of-this world Mezcal, containing information about how this small-batch liquor is made by Oaxacan families, and will include tasting notes on almost every brand available in the US. What to Look for When Choosing a Mezcal - Whether a mezcal newbie or a seasoned sipper, here are important details to look for when deciding what to sample. Is it 100 percent agave? Any mezcal (including tequila) worth drinking are made from 100 percent agave. Luckily, this is usually displayed prominently on the front of the bottle. Is it aged? Most mezcal is unaged or joven (young), because agave has so much flavor it doesn’t need aging. However, it can be fun to try a reposado (rested) or añejo (aged) variety. Is it clear? All joven mezcal should be clear. Repasado and añejo mezcals will have a bit of a gold tinge. Is it produced in a small batch? True mezcal is made in small batches, and while most bottles will tell you the exact size of the batch, as a new mezcal drinker, just be sure to stay away from anything that has a celebrity’s name on the bottle or otherwise seems like it might be mass produced. In a cocktail shaker with ice, vigorously shake together all the ingredients until cold and well blended. Strain into a cocktail glass, garnish with an orange peel, and serve. 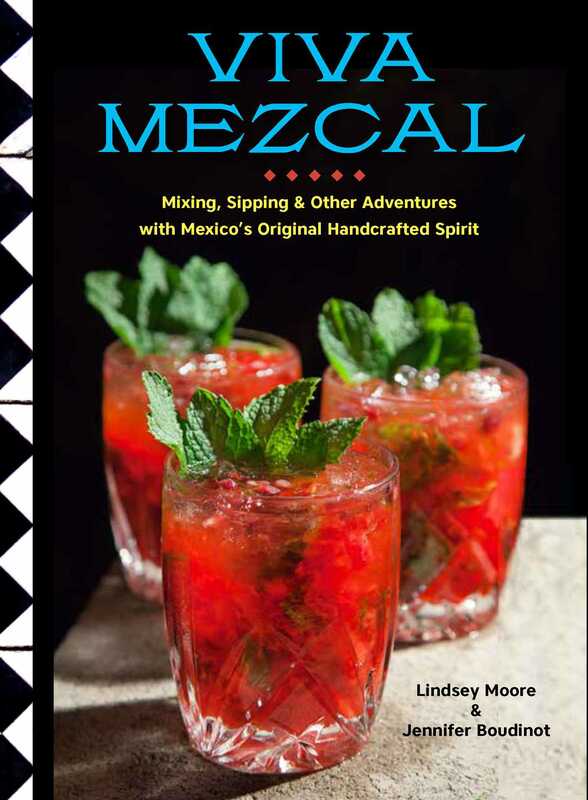 "The book is a perfect size for your home bar or coffee table, and provides fascinating information along with fantastic drink recipes that you can make using mezcal."